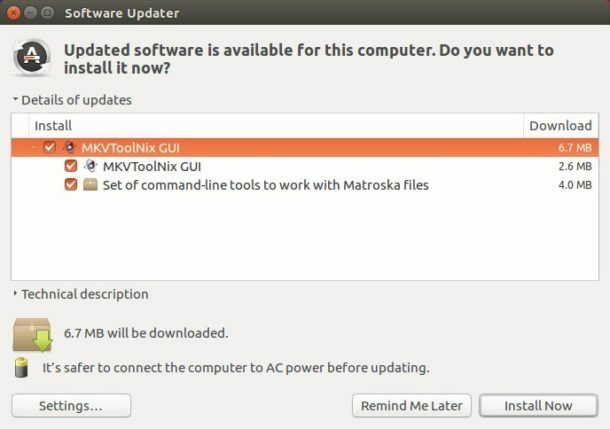 MKVToolNix 17.0.0 “Be Ur Friend”, a new release of the free and open source Matroska libraries and tools, was release yesterday with new features, enhancements, and various bug-fixes. The word “timecode” has been changed to “timestamp” everywhere it was used in MKVToolNix. mkvextract’s command line interface has been changed to allow extraction of multiple items at the same time. mkvmerge: AC-3: during identification regular AC-3 and E-AC-3 tracks will now be identified differently for most container formats (exception: AVI, Real Media, Ogg/OGM). mkvextract: the command line interface has been changed to allow extraction of multiple items at the same time. fixed AC-3 being misdetected as encrypted MPEG program streams under certain conditions. Fix that under certain conditions mkvmerge was always setting the pixel width & height to 123.
fixed calculating the duration of entries starting with at a negative timestamp. And see the release note for more details. For Ubuntu 16.04, Ubuntu 17.04, and their derivatives, you can install the 17.0.0 release via the official MKVToolNix repository by doing following steps. Replace xenial in the code with zesty for Ubuntu 17.04. And input your password when it prompts and hit Enter. To remove the software repository, launch Software & Updates utility and navigate to Other Software tab.